To receive headlines from our faith-based news services, please subscribe below newsletters. Pope Francis’ apostolic exhortation, The Joy of Love, has begun to change attitudes to Communion in the Archdiocese of Milan, according to a senior official, reports The Catholic Herald. 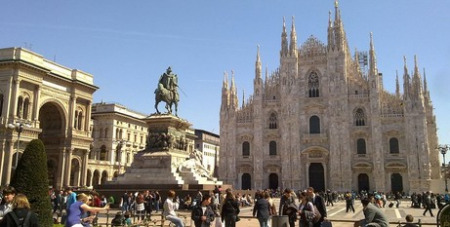 In an article for the Milan Archdiocese website, Mgr Fausto Gilardi, who is in charge of Confession at Milan Cathedral, says that there has been a growing “demand” in the diocese from the divorced and remarried for absolution and Communion. The article says that other priests have asked divorced and remarried people to enter a pastoral process, but he does not specify whether Communion is a possible goal. Since its publication, Pope Francis’ exhortation has generated differing interpretations. Much of the debate was over footnote 351, which some argued implied that the Pope wanted the Eucharist to be a possibility for divorced and remarried couples. Last week, however, Pope Francis said that he couldn’t remember writing the footnote.